Posted on October 31, 2011 by Susan H.
H A P P Y H A L L O W E ‘ E N ! ! ! ! ! 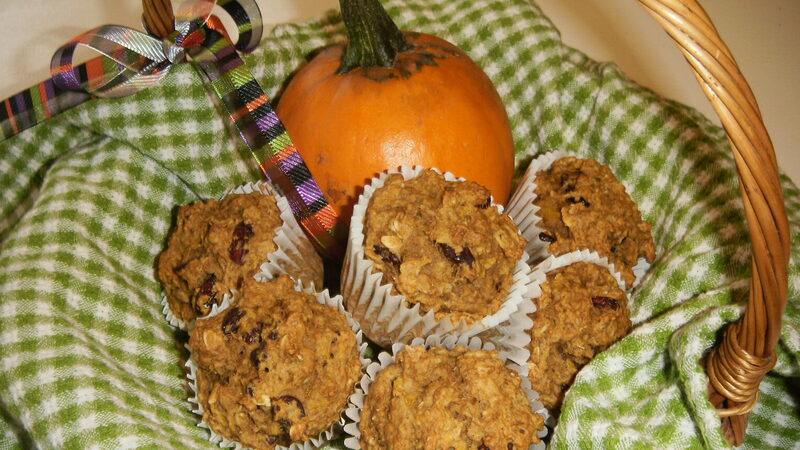 Pumpkin season is here…pumpkins are everywhere…time to pull out the pumpkin recipes! Needless to say, I will not be baking pumpkin in a pie…sorry. Every year I have good intentions of purchasing a Pie Pumpkin for my muffins…and then I forget…and purchase the can. Normally, I wait to get the pumpkin seeds for roasting from the pumpkins my husband carves for Hallowe’en. It’s all very exciting! The boys decide specifically how they want the eyes, nose, ears and overall look of their pumpkins. Their father then embarks on the cutting, the cleaning and then the cutting out of the boys’ designs. Quite the father/sons’ bonding experience. This year, however, the boys did most of the work! Matthew cleaning out his pumpkin seeds: To be honest, Matthew thought this part was ‘disgusting’. He did not like cleaning out the pumpkins ‘guts’, as he put it. 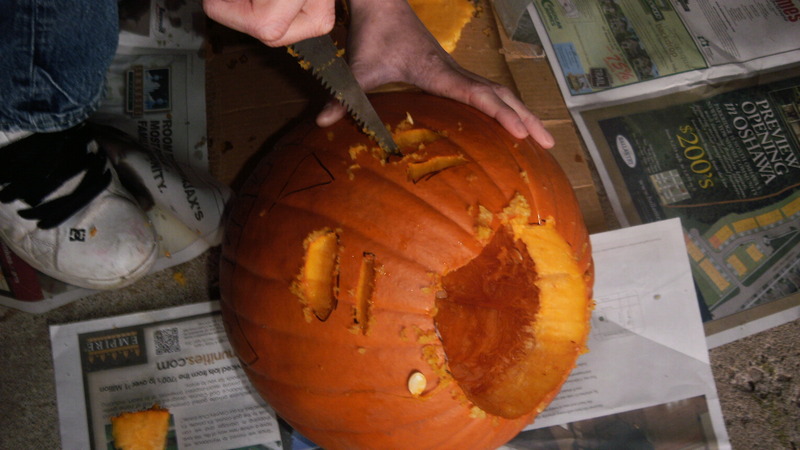 His pumpkin design…which to my relief, his father cut out…was to resemble Frankenstein. 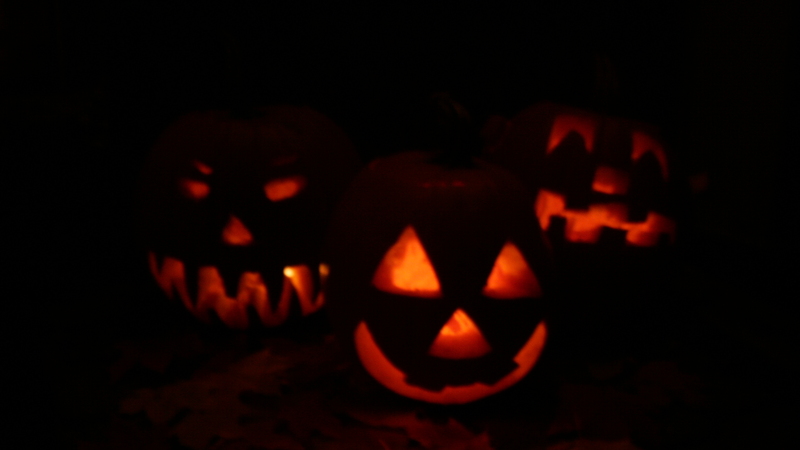 His pumpkin is the one on the far right of the lighted pumpkins in the top photo. Michael would like me to point out that his pumpkin is the one on the far left of the lighted pumpkins in the top photo…note his fine handiwork! Purchasing a Pie Pumpkin gave me the pumpkin seeds I needed for roasting and the opportunity to cook the pumpkin…minus the skin…for baking. A win/win situation with no waste! I have to say, cooking up the pumpkin was no trouble at all. I had enough pumpkin to make a batch of Dairy, Egg, Soy and Peanut/Tree Nut Free Hearty Oatmeal Pumpkins and Pumpkin Bundt Cake with Orange Drizzle. To make the cooked pumpkin, I just followed the instructions which were stuck to the Pie Pumpkin. Wash, slice, peel, and dice Pie Pumpkin. Drop into boiling water and cook until tender and drain. 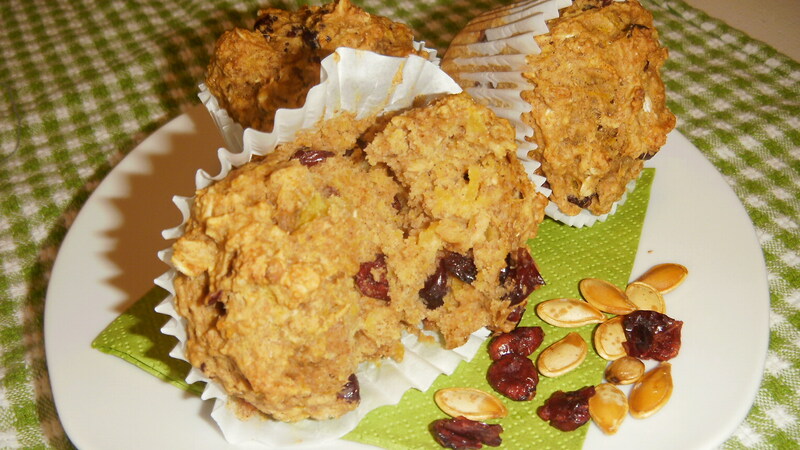 This adapted recipe for Dairy, Egg, Soy and Peanut/Tree Nut Free Oatmeal Pumpkin Muffins comes from the September 2002 issue of Chatelaine. I first baked them November 8, 2004. 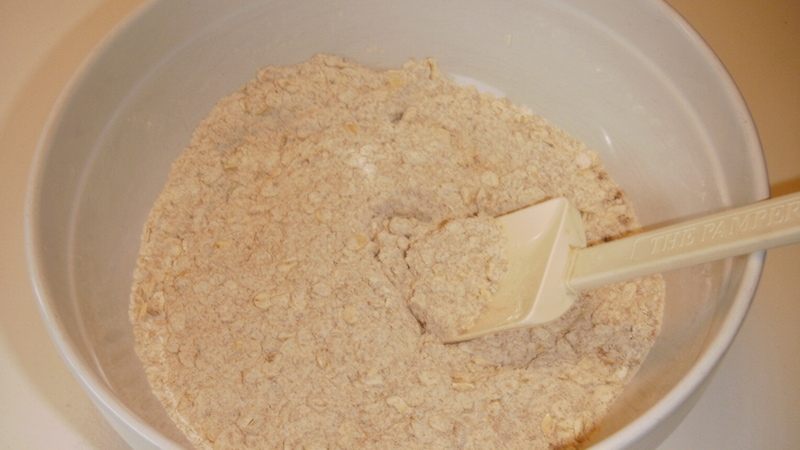 I think I will eventually replace all the all-purpose flour with whole wheat. 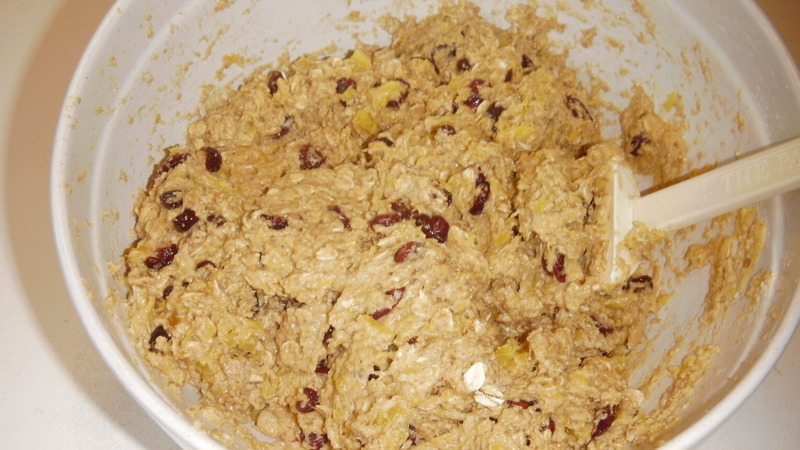 In a large bowl, combine all the dry ingredients including the cranberries. 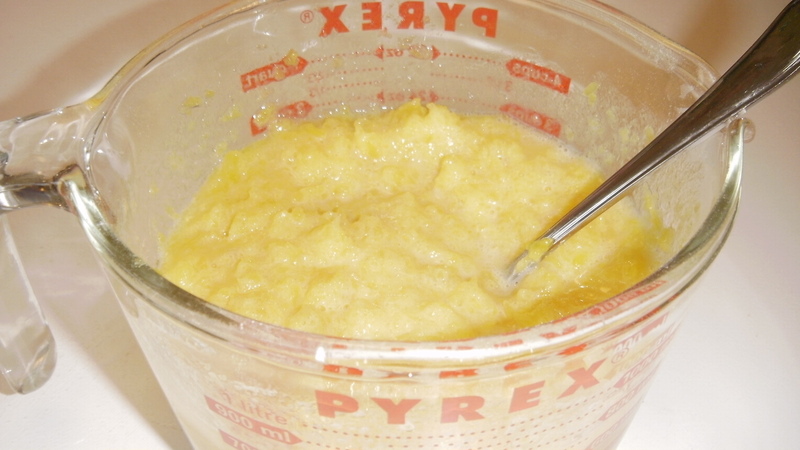 In another bowl, combine all the wet ingredients until evenly blended. 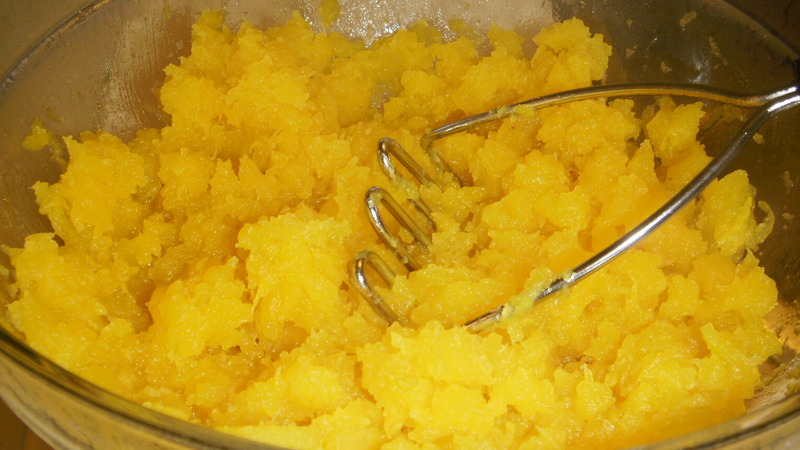 Scrape the pumpkin mixture into the dry ingredients and stir just until well combined. Bake at 375 F for 20-25 minutes. 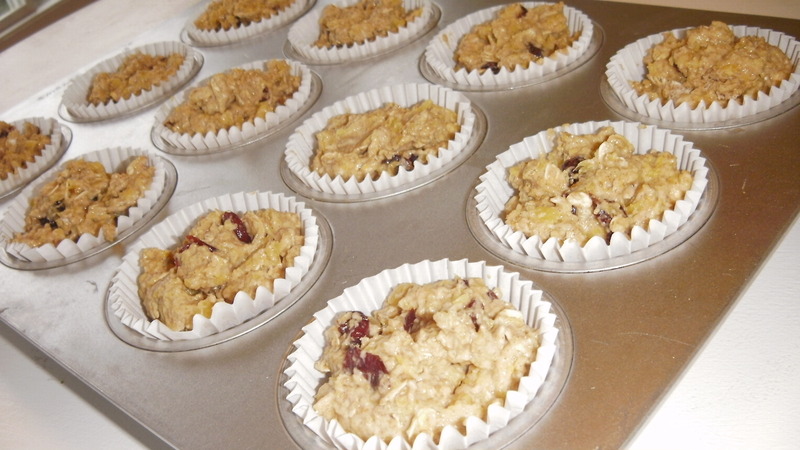 Let rest for 10 minutes before cooling muffins on cooling rack. Tip: Muffins freeze well. Just reheat in the microwave for that just out of the oven taste. Consequently, I decided to share our plethora of pumpkin baked goods (Muffins and Bundt Cake) with a neighbour. As they were in the middle of cooking their dinner…I provided dessert for them…perfect timing! 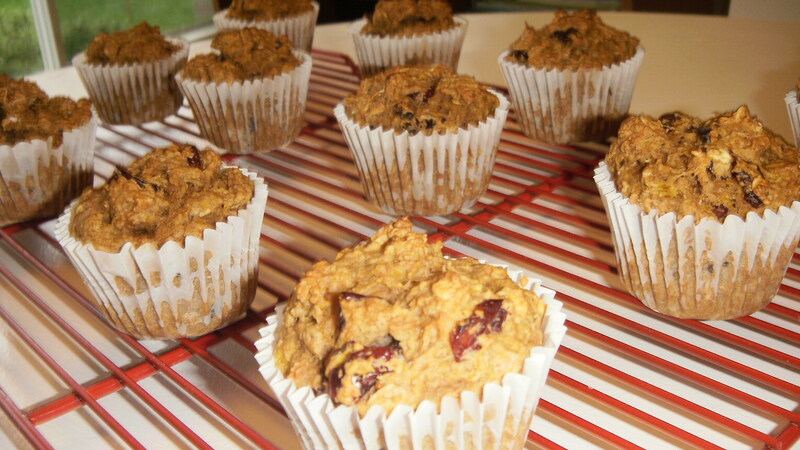 This entry was posted in baking, breakfast, dairy free, egg free, Hallowe'en, muffins, oats, peanut/tree nut free, sesame free, soy free and tagged cooking pumpkin, dairy free oatmeal pumpkin muffins, egg free oatmeal pumpkin muffins, hallowe'en pumpkins, Natur-a Rice Beverage, peanut/tree nut free oatmeal pumpkin muffins, soy free oatmeal pumpkin muffins by Susan H.. Bookmark the permalink. These look amazing! I’ve never boiled my pumpkin before, I’ve only roasted it, but I’ll have to try it this way sometime! 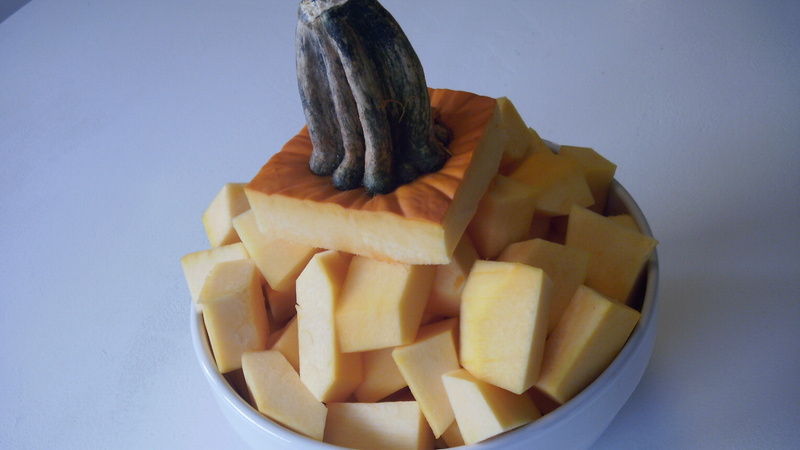 I bought a cooking pumpkin today to roast for a pumpkin soup. The recipe didn’t call for it to be roasted but I think roasting brings out the best in all vegetables! 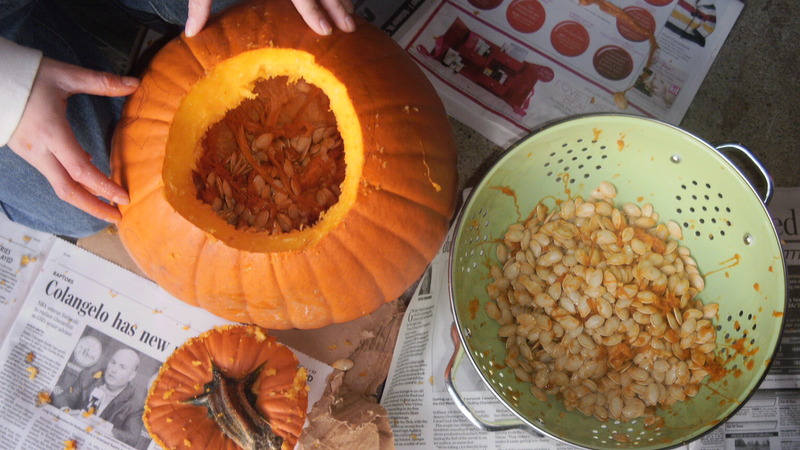 Roasting the pumpkin seeds from the kids pumpkins as I write…we have pumpkin seeds galore! 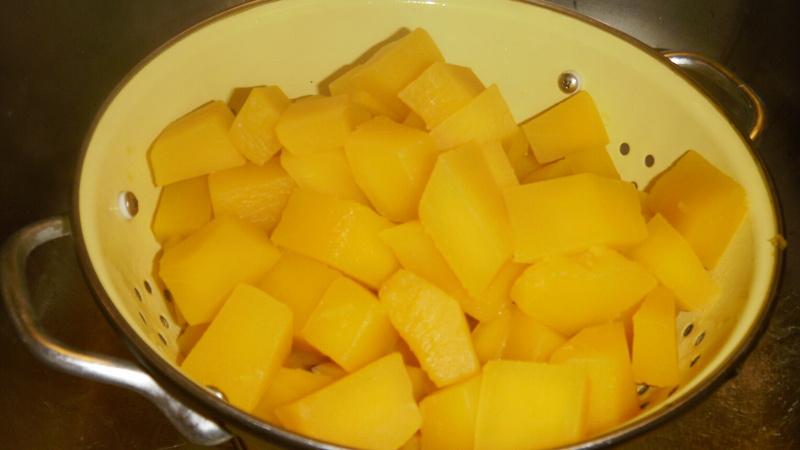 Still on the hunt for the Sweet Darling Squash that you highly recommended in your blog. I will soon be back to baking with apples. Thanks for your comments! ~Susan H.